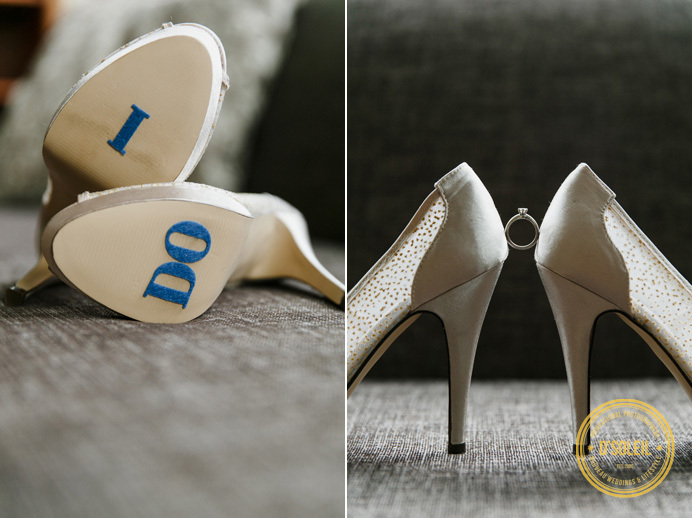 We have very talented wedding clients. 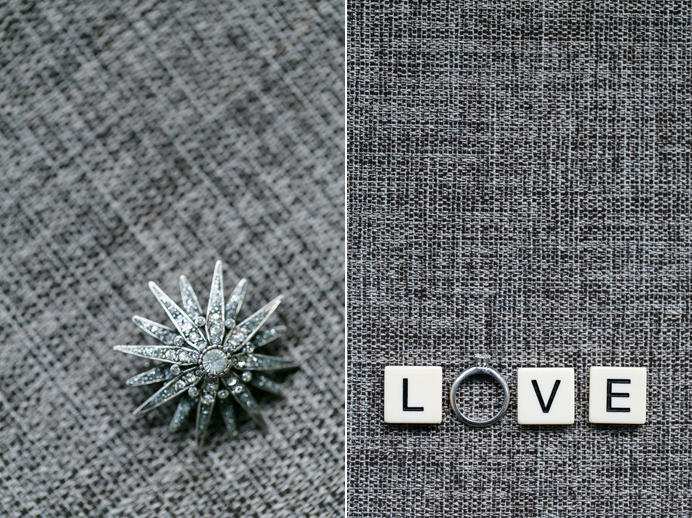 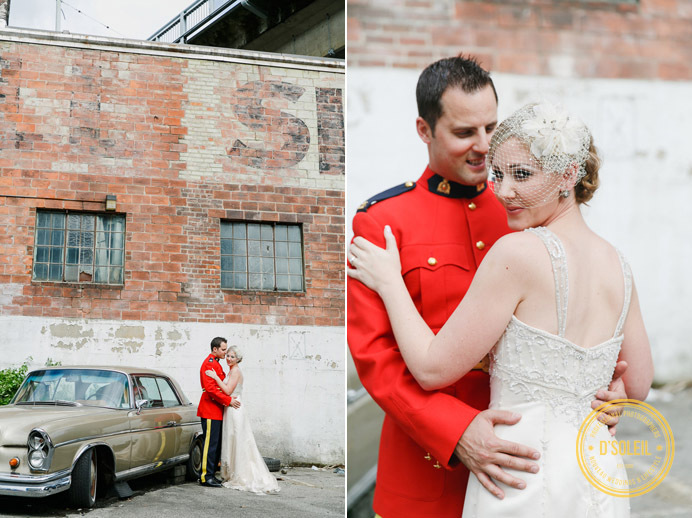 Jennifer + Chet have a special talent for planning a vintage inspired DIY wedding from out of town and doing it right. 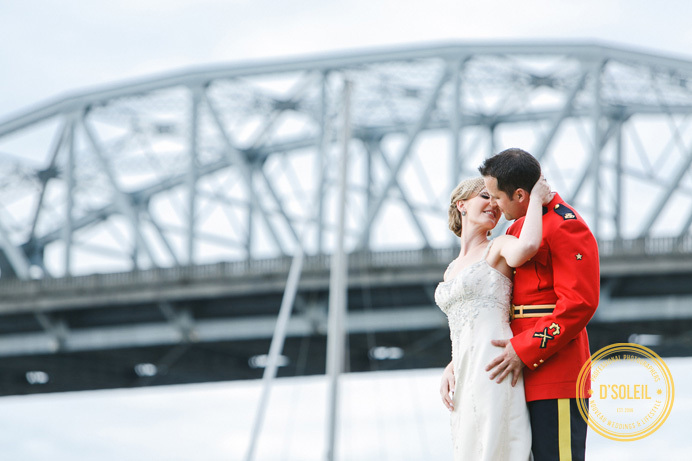 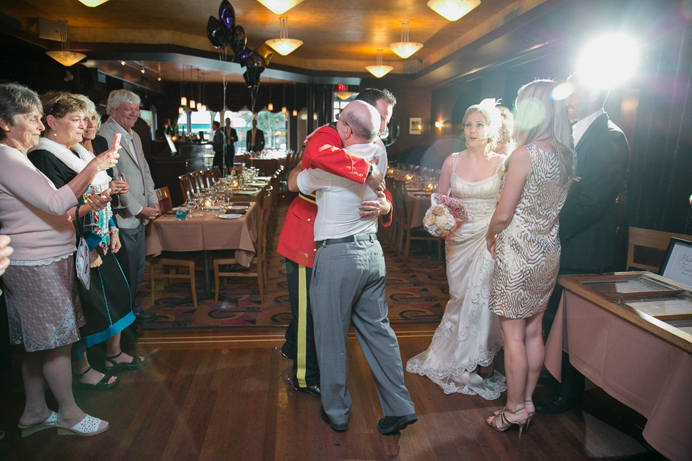 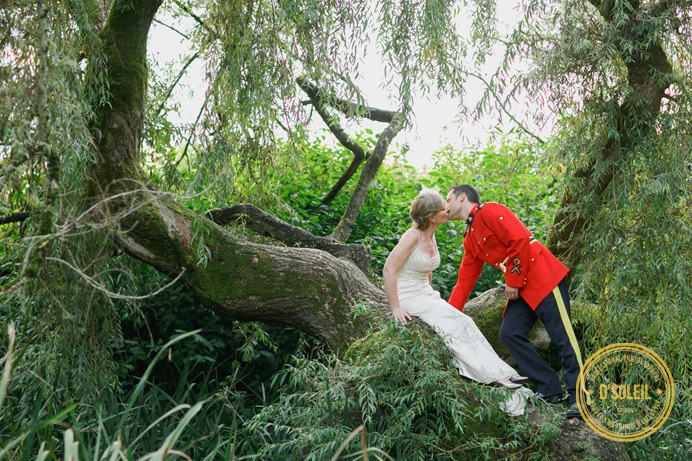 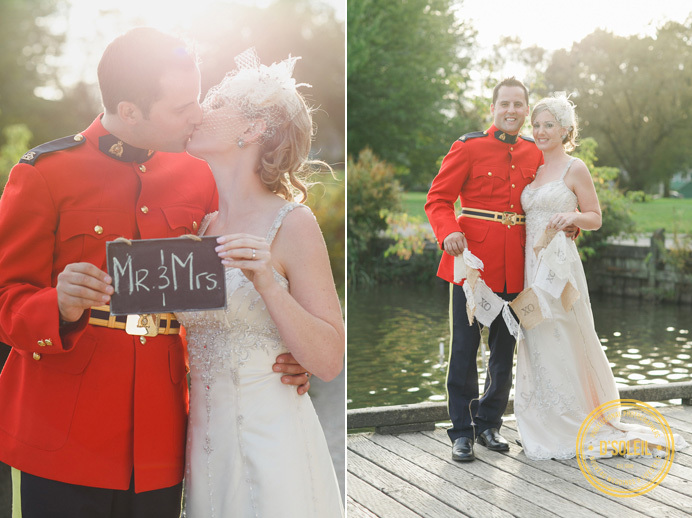 Living on Vancouver Island, Jennifer and Chet did a fabulous job of planning their RCMP wedding in Vancouver. 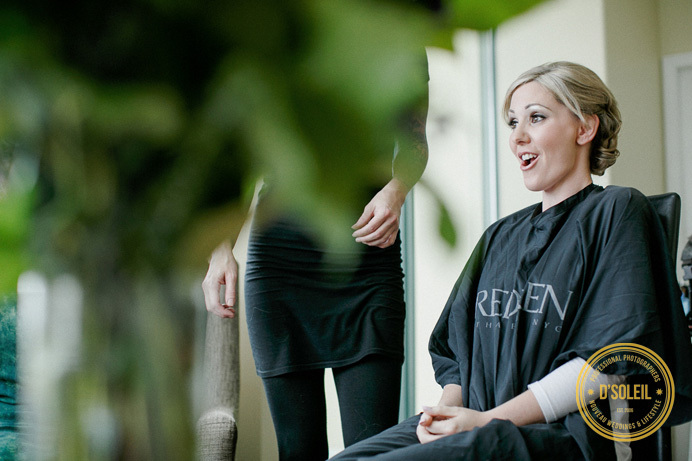 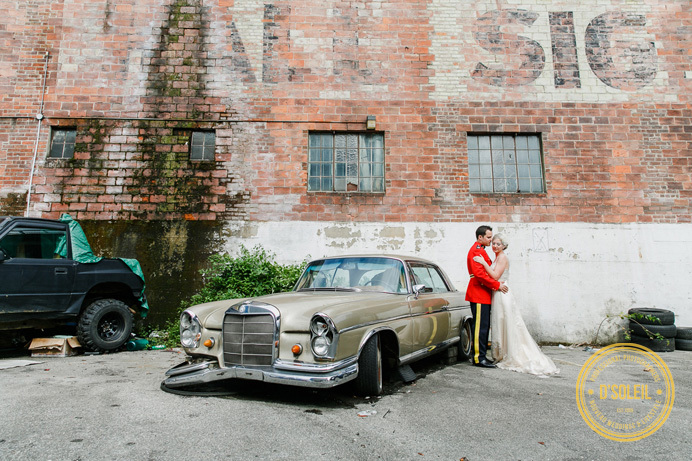 They planned for a simple event: the reception would take place at Frederico’s Supper Club on Commercial Drive in East Vancouver, Jennifer and Chet would get ready at a downtown Hotel, and the ceremony location would take place at a Vancouver Park. 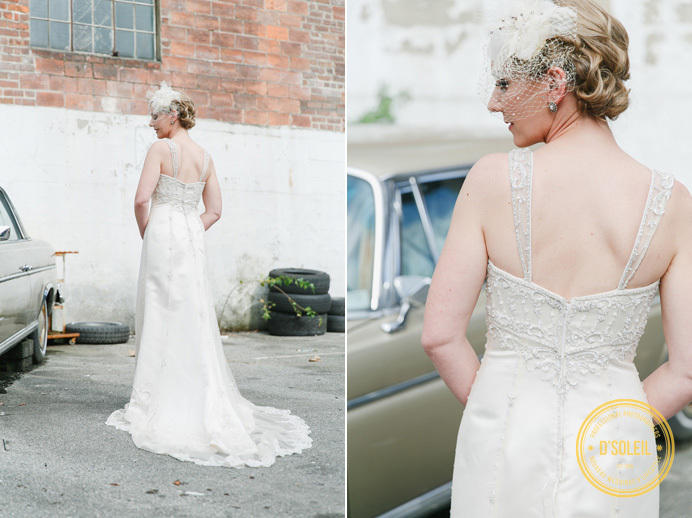 Making sure it all went off without a hitch was lot to manage during a time of year with a high probability of rain, but they did it! 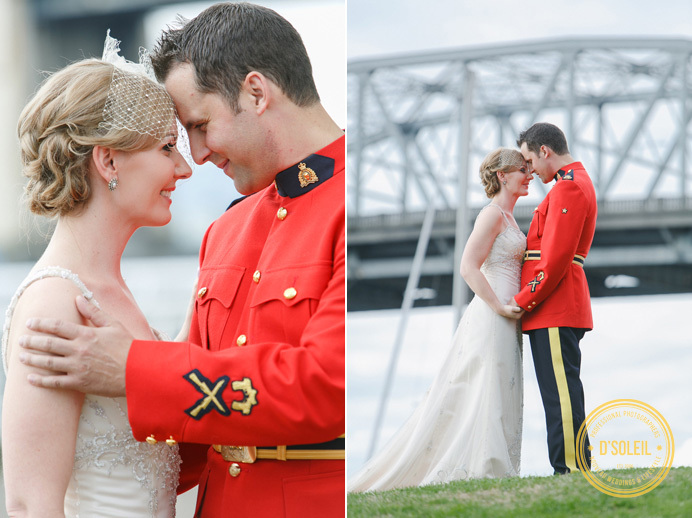 The wedding itself went perfectly, and weather for their September wedding was beautiful. 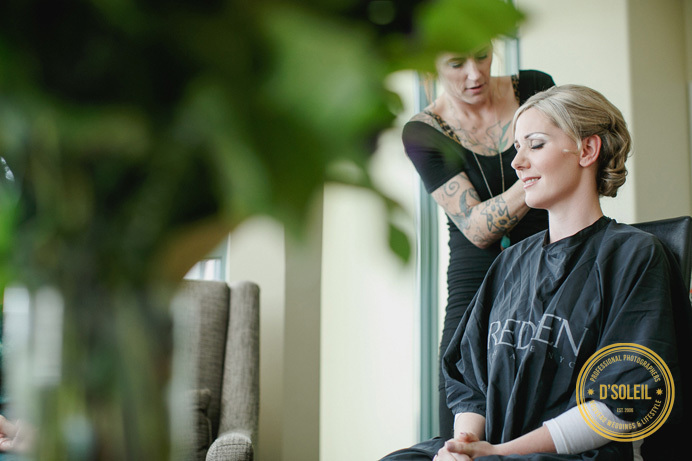 Pamper Me Pretty did Jennifer’s hair and makeup at the Executive Hotel Vintage Park. 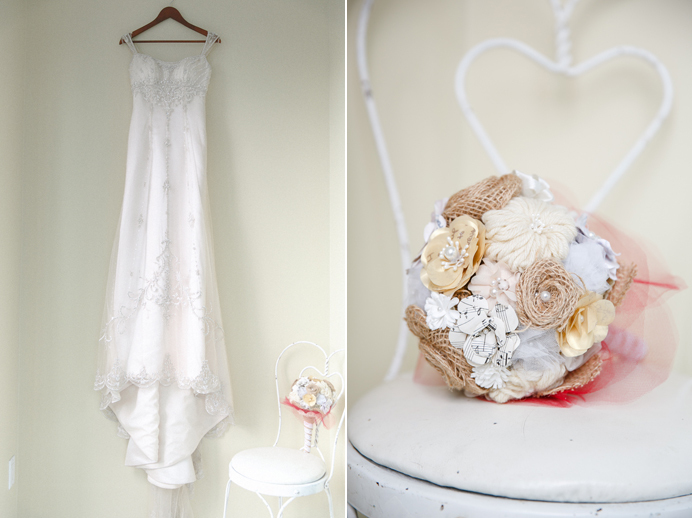 Flowers were hand made and so many of the decorations were from their personal collection of pretty things. 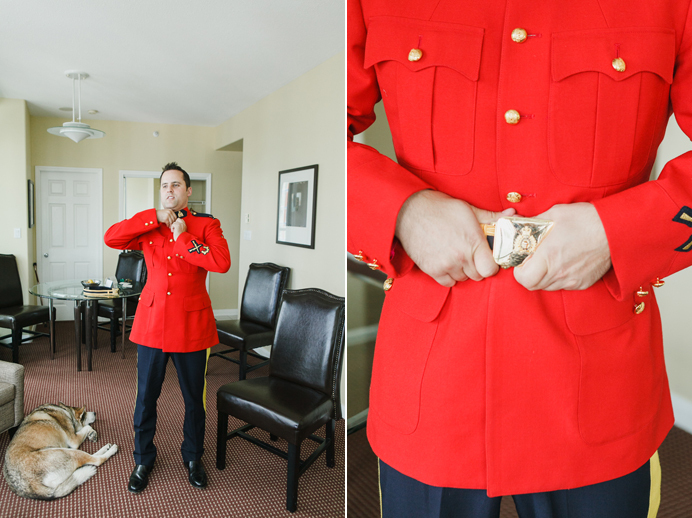 Chet wore his RCMP Red Serge for the wedding, which attracted a lot of attention as we walked around for photos. 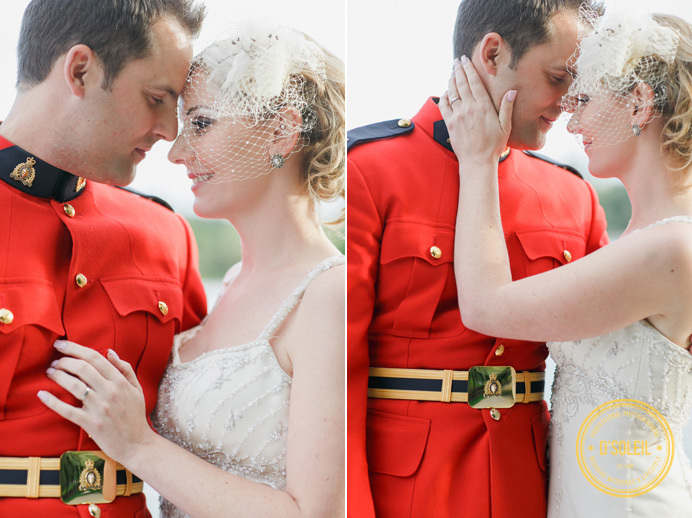 We kept the photos simple and quick. 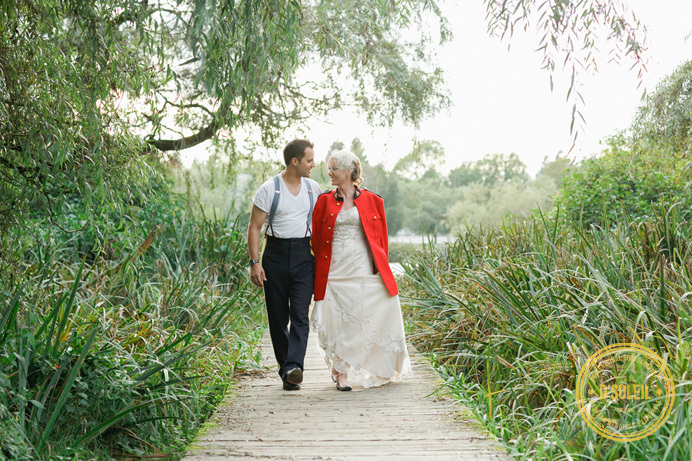 We simply walked around the area and looked for interesting vintage and timeless locations. 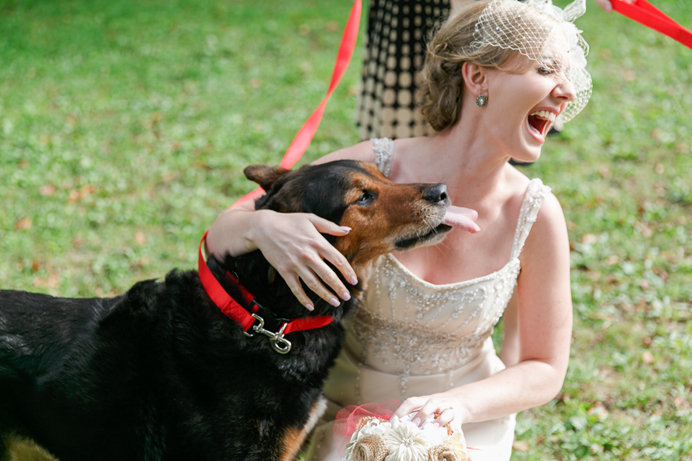 Jennifer and Chet had their dogs play a prominent role in the wedding party – they got to carry the wedding rings! 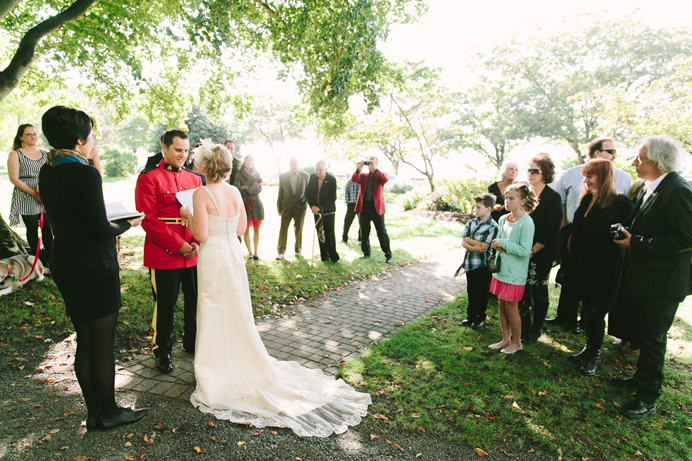 A park right across from English Bay was chosen for the wedding ceremony. 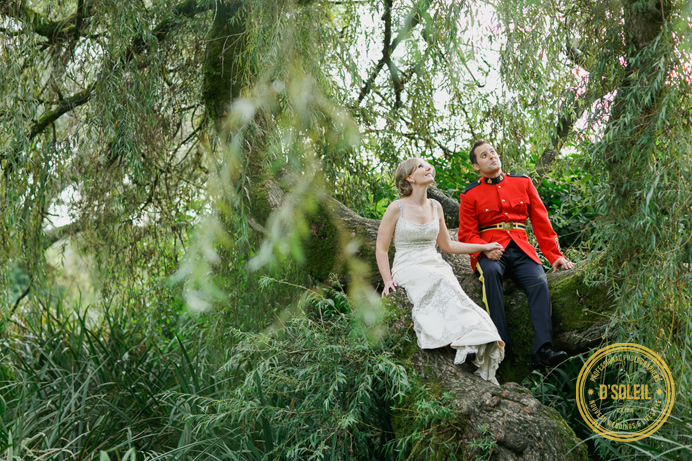 An interesting note about Vancouver park weddings is that you don’t need an official permit ahead of time if the ceremony has fewer than 50 guests, if it doesn’t require a specific spot to be reserved beforehand, and doesn’t require chairs for guests, tents, or elaborate decorations. 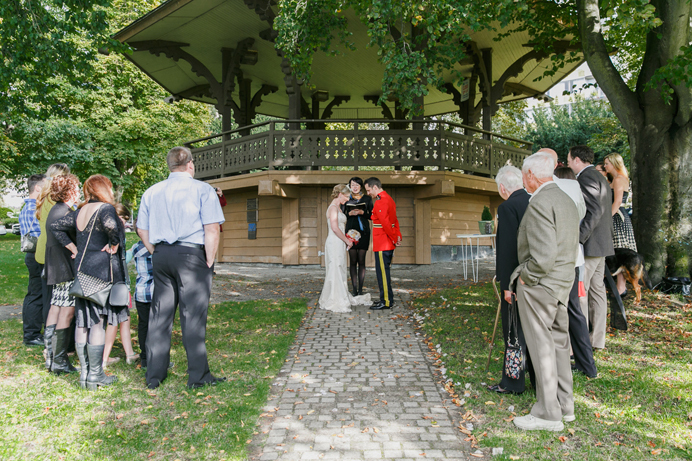 Jennifer and Chet picked the spot just days before, and we helped select a specific spot outside the Gazebo at English Bay for the ceremony, which was officiated by Bobbi Salkeld from “Young, Hip, and Married“. 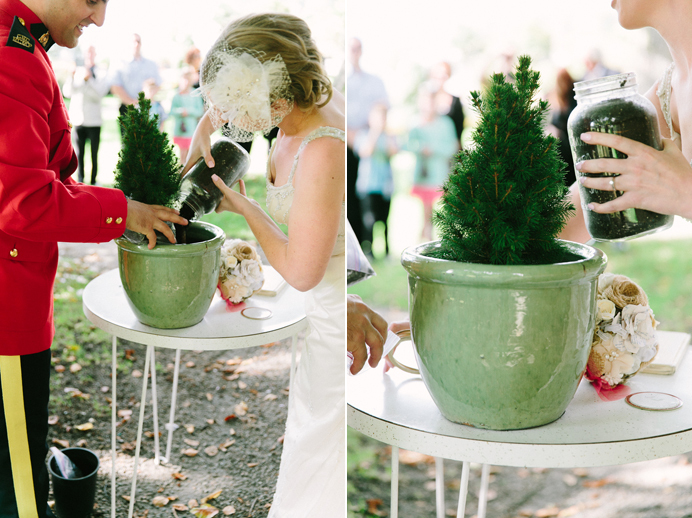 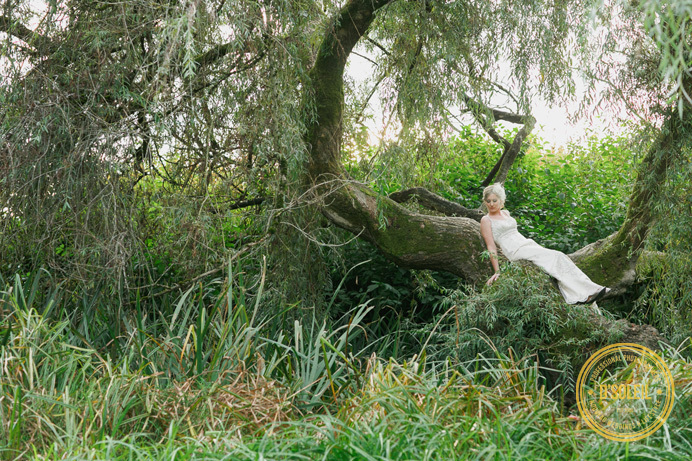 Being lovers of nature, Jennifer and Chet had a tree planting ceremony during their wedding. 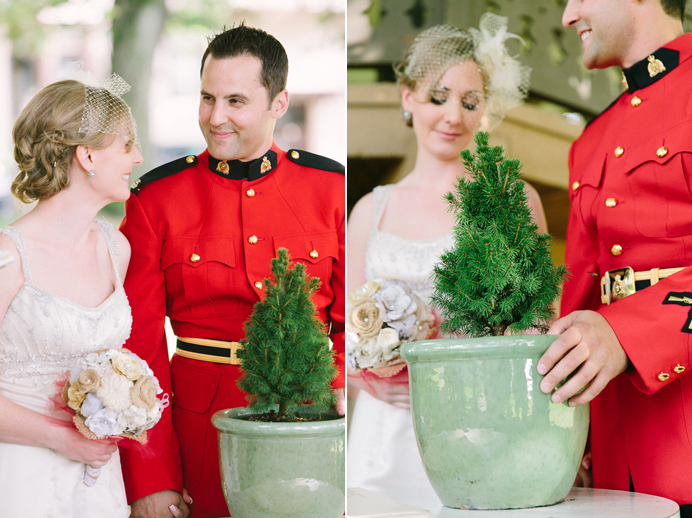 We took photos at another park in Vancouver, and I love the way Chet’s red serge contrasted with the greenery. 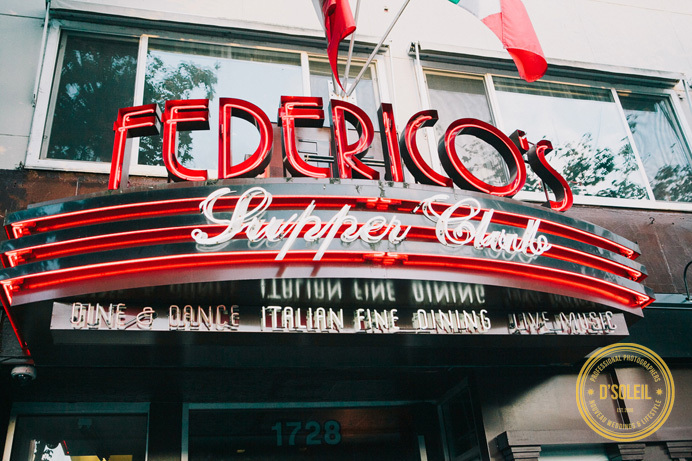 The wedding reception took place at Frederico’s Supper Club on Commercial Drive in East Vancouver, which is my old stomping grounds. 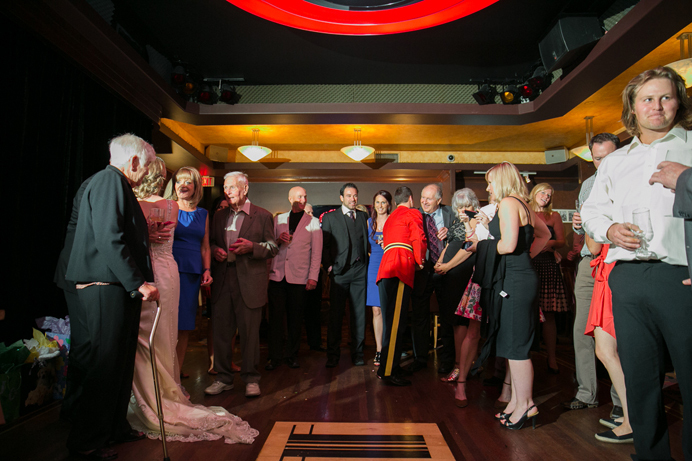 It’s one of the coolest Italian restaurant’s you’ll likely see. 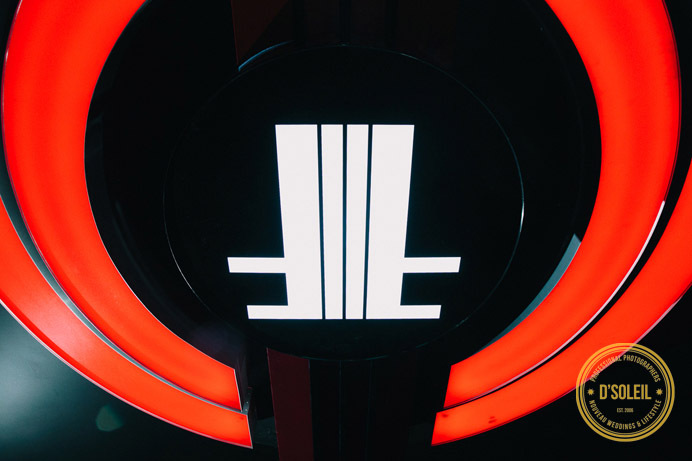 It’s got a hip art deco inspired vibe to its retro design and feels like a classic speakeasy inside. 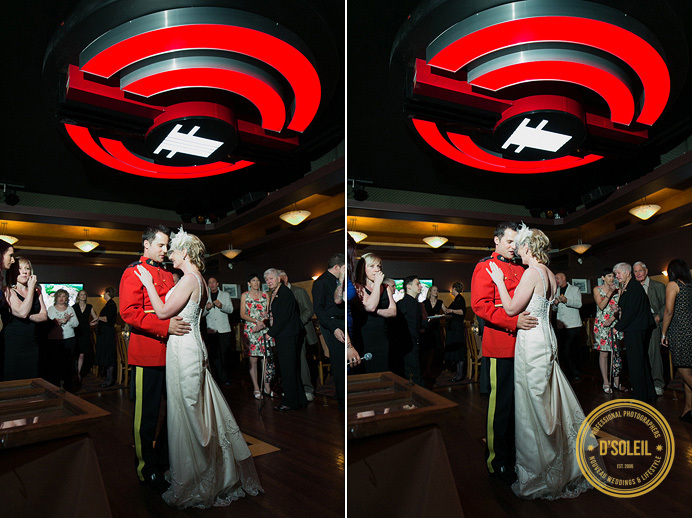 What a cool place for a wedding reception!